Speed and pace are often treasured skills in the game of football. Often, it is the rapid ‘blink and you miss it’ build up to a goal that is cited as a stand-out moment in the game. The switch to counter-attacking football or a defender’s spirited run to save a goal likewise contribute to the modern version of the game to be quite reliant on tactical speed. Manchester United is one destination where speed is valued, with the Mancunian giants hosting numerous pacey players over the years. 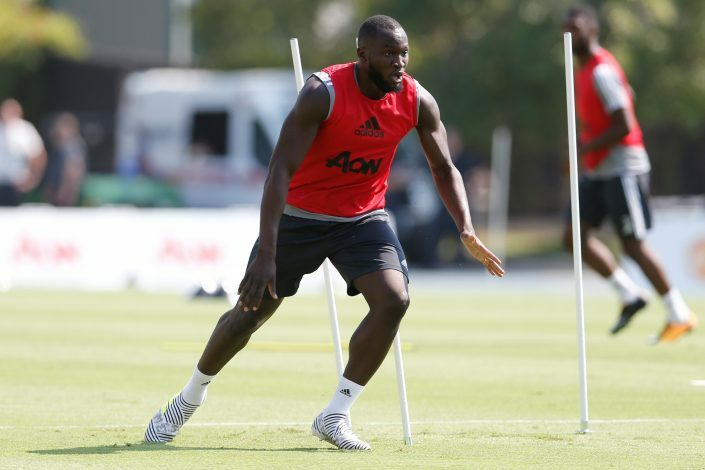 Romelu Lukaku, during a question and answer session on Instagram, was quizzed as to which of his teammates was the fastest. The Belgian striker’s answer was interesting, to say the least. The striker responded to the query by raising his own hand. He then went on to say: “And people call me slow!” Perhaps Lukaku has taken a page out of Zlatan Ibrahimovic’s school of humility. While the notion of speed doesn’t necessarily jump to one’s mind when thinking of Lukaku, the attribute isn’t misguided. Statistically, the former Everton striker has indeed clocked in some high numbers in comparison to his United teammates. This is certainly a surprise considering that United host a bunch of really fast youngsters like Marcus Rashford, Anthony Martial, and Jesse Lingard, while veterans like Antonio Valencia and Ashley Young don’t disappoint on their day either. Perhaps this is a bigger indication that Lukaku has with regard to an image problem. Despite the stats repeatedly proving otherwise, the notion of a lethargic and slow player is often perpetuated with regard to the Belgian. However, as his answer and statistics rightly prove, he is amongst the faster players in their roster. With the change in physical appearance that he has undergone in recent months, those numbers can only possibly go higher.